You definitely get your money&#039;s worth with this model. This model is of the 1972 ATCC #40 Holden HT GTS Monaro as driven by Norm Beechey. 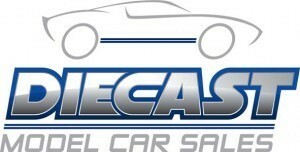 Diecast Model Car Sales have secured the exclusive rights as distributors of these models, making you one of the lucky few with the opportunity to get your hands on one of these models. Purchase of this model includes a Serialised Limited Edition Certificate of Authentication. Pricing reflects the exclusive limited edition quantity produced of each model being only 250 models of each vehicle. Therefore this model cannot be compared to a 1000/2000 model &#039;limited edition&#039; production runs made in diecast metal. Tags: 1972, 1:43 Resin Model, 350 GTS, AMR, ATCC, Australia Model Replicas, Beechey, HT Monaro. You definitely get your money's worth with this model. The debut model for exciting up and coming model brand, Australian Model Replicas is sure to make a statement in 1:43 Resin. This model is of the 1971 ATCC #1 Holden HT GTS Monaro as driven by Norm Beechey. Pricing reflects the exclusive limited edition quantity produced of each model being only 250 models of each vehicle. Therefore this model cannot be compared to a 1000/2000 model 'limited edition' production runs made in diecast metal. Tags: 1971, 1:43 Scale Resin model, AMR, Australian Model Replicas, Beechey, HT Monaro.